Decorative pillow cover for sofa pillows with golden chevron print. 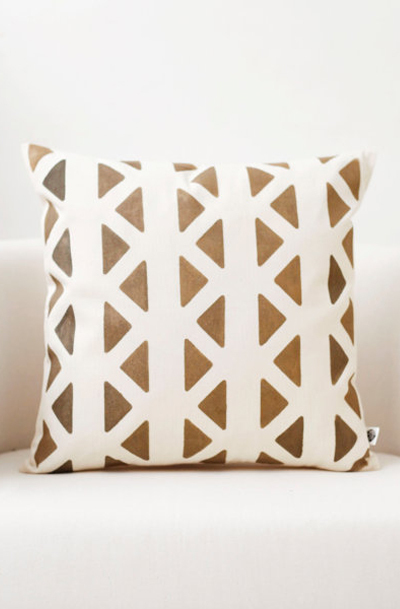 Hand painted metallic gold chevron print on natural off white cotton. Addition for Holiday season interior or for children room. Classic print for combining with other design hand painted or solid color pillows.